The two albums are occasionally lovely, always effortlessly competent, and while a body of work can perhaps survive by those traits alone, it isn't likely to distinguish itself. So you want to set up lofty, challenging, okay, in fact completely unreasonable goals for yourself? Really? Well then, why not take on a widely accepted classic. Cover a song with which, even a decade and a half down the line, much of the indie-record-buying public, your present and potential audience, have some kind of passionate (maybe personal) involvement. Or if they haven't, then won't be especially interested anyway. None of this bringing the lesser-known work of a master to light business will do, just shoot straight for the gold, the unimpeachable pinnacle. Hell, why stop there, why not just do the whole album while you're at it? Of course, you're going to be faithful to the original. Sure, change the genre around a bit, re-imagine it, but keep things close enough to make direct comparison inevitable. Yeah, this is going to be virtually impossible to pull off to anyone's satisfaction. You are Japancakes and you are attempting to cover, in its entirety, My Bloody Valentine's Loveless. Japancakes taking on Loveless means, essentially, arranging those famous snarls of feedback and noise-buried melodies for smooth cello, pedal steel guitar, and floating keys. A common reaction to My Bloody Valentine is the recognition that their melodies have always had the delicate beauty to stand on their own, they just often happen to be nearly overcome by waves of fuzz and grit. 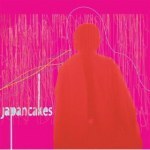 Japancakes, then, has tested this theory directly by removing any trace of messiness or distortion, placing the songs into a clean, clear ambient space where every detail can be heard, unadorned but for reverb. Do the melodies hold up? Certainly, we knew they would all along. Does Japancakes, then, succeed in this endeavor? Yes and no. Simply holding up to listener satisfaction is not the same thing as being viscerally essential and epoch-making. The melodies work just fine as melodies; but their impact is significantly diminished outside their original context, their lovely-fragility-against-destructive-fury tension. And while it was always clear that Kevin Shields and company were playing songs that were, at their core, fairly simple and repetitive, this fact was obscured somewhat by the surrounding primordial shoe gaze haze. Stripped of this, and even of the original varying thread of lyrics (even replaced with instruments, as in the cello forming a pale comparison to Belinda Butcher's original voice on the new "Only Shallow"), the songs are exposed as a little overlong and underdeveloped. That said, this album sounds good. Of course, it's not the statement that the original was (and never could have been), but the songs hold their power even transmuted as they are, and Japancakes' execution is undeniably sound. The guitar slides and twangs, the keyboards soar, and the cello washes up from below like cool tonal tides. Drums, bass, and additional guitar all shade in their contributions. It's Loveless for people who actually liked Lush better than My Bloody Valentine all along. Some of the best moments (and the moments most likely to survive the initial novelty) actually come when the pieces are allowed to diverge from their source material a bit, as on "Touched", here expanded from fifty-second interlude status to a full 2:22 of gentle piano and mournful strings. It's no radically inventive reconstruction like the Dirty Projectors' nearly stand-alone Rise Above, but certainly no one-joke Dub Side of the Moon, either. The album, in fact, comes off surprisingly well given the circumstances. Loveless will be arriving in November, but the Athens, Georgia-based sextet are actually putting out another album out this month. Giving Machines, their sixth album since forming as a single-note live drone ensemble in 1997, benefits in the long run from being (mostly) original material, but also lacks the consistently blissed-out Loveless melodies, already steeped in memory and rock canon. Forced to survive by its own merits rather than those of association, Giving Machines is nonetheless warm and inviting, drifting lightly through eight movements of instrumental chamber pop in 40 minutes. This is all well and good and the same clean, clear instrumental harmonies that worked reasonably well on Loveless are all in effect here again, but really it's a pretty undemanding album of the listener. Which is fine for background music, perhaps, or dinner music (indeed, this would be extremely pleasant, and even fairly classy, as dinner music), but these harmless melodies have a tendency to go down so easily that nothing really sticks after the album finishes. Working with the listener can be good but coddling is always unnecessary. As such, there's no trace of dissonance here, the moods are fairly middle-of-the-road and never dig to deep at any ambiguous emotional territory, and, of course, there's never anything even slightly jarring or noisy. Removing noise from My Bloody Valentine songs is the more obvious detoothing, but the songs on Giving Machines seem never to have teethed at all. Somewhat ironically, given that this is the non-covers disc, the strongest track seems to be a cover of the Cocteau Twins' "Heaven or Las Vegas". The song benefits from opening solidly with contrasting layers of crisp descending electric guitar, strummed rhythm, subtle but insistent bass, and soon, twanging steel (carrying, I believe, the original vocal line). Keys sweep in to buoy up the chorus. Perhaps I'm just less familiar with the original, or perhaps the Cocteau Twins' brand of ethereal harmony just lends itself better to Japancakes' approach, but the track seems to stand on its own better than anything else on either album. "Lalita", the other standout, emphasizes the dynamic of pedal steel on strings, sounding something like a Hawaiian chamber orchestra. Other tracks, like opener "Double Jointed" or "Tracing New Maps" can feel like they spend six or seven minutes in mild-mannered prettiness without doing anything particular of note. Japancakes seem to have drifted quite a ways from their drone origins. There's still a muted quality to the work they're producing now, but they've applied it to a decidedly pop context. It's occasionally lovely, always effortlessly competent, and while a body of work can perhaps survive by those traits alone, it isn't likely to distinguish itself. This doesn't have anything like the compositional tension and complexity of alternate post-drone chamber orchestra Stars of the Lid, or the dense texturing of up-and-coming improvisational strings-and-noise outfit Lonely Ghost. Japancakes are making inoffensive but effective chamber pop (whether out of the My Bloody Valentine catalog or on their own) and that's either already enough, or it will leave you seeking something a little deeper.